1. 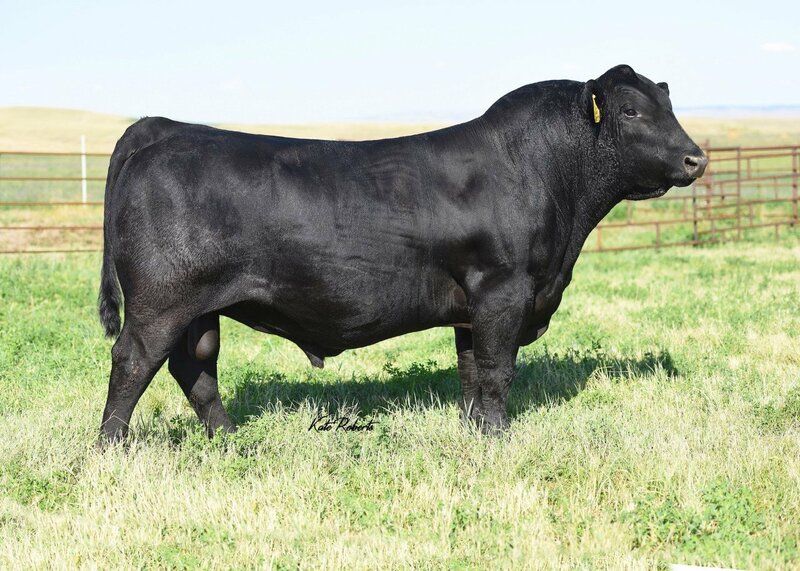 The # 1 $Beef animal in the Angus breed. 2. Daughters are beautiful brood cows with perfect udders. 3. Sons are scale smashers with a lot of rib, will add weight, bone, and structure. 4. These soggy powerful sound cattle are favorites by all who see them.